To view details about our classroom courses, click here. To view details about our self-study courses, click here. Licensed Life agents specialize in selling life insurance policies that pay beneficiaries when a policy holder passes away or reaches a predetermined age. Life insurance agents may also sell fixed annuity products, which provide income to owners both before and during retirement. Individuals seeking a Life insurance license must complete the state-required 20-hour classroom training course OR self-study course and pass the North Carolina Life Insurance exam. Licensed Health agents specialize in selling any type of North Carolina–approved health insurance or disability insurance product, including any health product mandated by Obamacare. Individuals seeking a Health insurance license must complete the state-required 20-hour classroom training course OR self-study course and pass the North Carolina Health Insurance exam. Licensed Property agents specialize in quoting or selling any North Carolina–approved property insurance product that covers risks to personal property, such as fire, weather damage and theft. Individuals seeking a Property insurance license must complete the state-required 20-hour classroom training course OR self-study course and pass the North Carolina Property Insurance exam. Licensed Casualty agents specialize in quoting or selling any North Carolina–approved casualty insurance product that provides insurable protection against loss from an accident, including commercial automobile, commercial liability and workers' compensation. Individuals seeking a Casualty insurance license must complete the state-required 20-hour classroom training course OR self-study course and pass the North Carolina Casualty Insurance exam. Licensed Medicare Supplement/Long-Term Care agents specialize in selling any North Carolina–approved Medicare Supplement policy, which provides additional coverage for gaps not covered by Medicare. Agents may also sell Long-Term Care policies, which help defer the costs of skilled and unskilled care for individuals as they age. Individuals seeking a Medicare Supplement/Long-Term Care license must complete the state-required 10-hour classroom training course OR self-study course and pass the North Carolina Medicare Supplement/Long-Term Care Insurance exam. In order to hold a Medicare Supplement/Long-Term Care license, an individual must first hold a North Carolina Health insurance license. Licensed adjusters work with both insurance companies and policy holders to ensure fair and accurate damage assessment and adequate substitute coverage are provided after a damage or loss claim is made. Although the state does not require potential licensees to complete a prelicensing course before sitting for the Adjuster's exam, most people choose to complete both the Property and Casualty courses, as the exams are nearly identical. 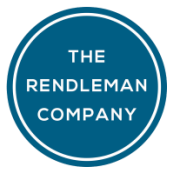 The Rendleman Company provides supplementary adjuster-specific study material at no additional charge. Over the past month I have taken 5 of your classes (L&H, Medicare Supplement/LTC and P&C) and I'm pleased to say I have passed all 5 exams!!! The instructors, classes and associated study of the book did a great job of preparing me for the exams. I think the books, questions & answers were a great study tool, and the instructors you have really know the information and stay focused on preparing us for the exam...I hope to return for some CE in the future and I’ve already recommended that any future employees needing licenses be sent to your classes...I officially received my licenses this week and have my first client meeting this afternoon with our current producer. Thanks for all the help and kindness.